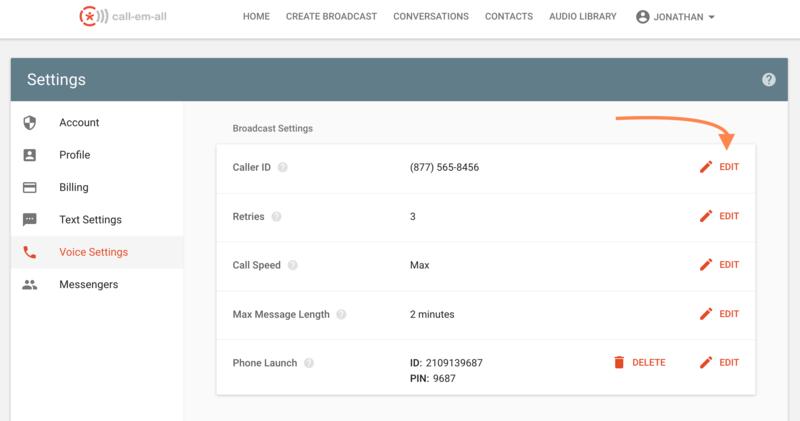 Call-Em-All also has a toll-free Message Replay Line that allows broadcast recipients to call to replay the last message sent to their phone. Use this as your Caller ID so that if someone calls you back, they will be sent to Call-Em-All where we will replay the last message our system has sent them. Click on Settings under your name at the top of the page. Click Voice Settings on the left of the page. 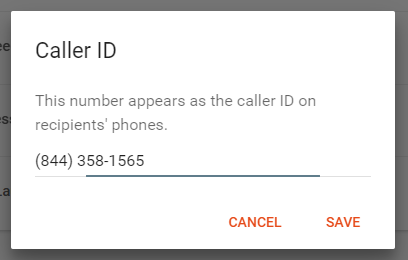 Next, click Edit next to the Caller ID field.